Mango was ranked second in the prioritisation of value chains conducted at the commencement of the EI-ADO project. The study focuses on mango production in NTB and EJ. It encompasses multiple issues deemed important for an understanding of the structure of the various mango value chains (within study provinces), their conduct and performance, as well as their potential as a vehicle for poverty reduction. Emphasis is given to the constraints faced by farmers and other chain actors, and the opportunities available to them, in the wider context of the mango sub-sector and its position in international trade. Early-season cultivation for increasing the incomes of mango growers. Enabling export development to drive improvements in farm productivity and profitability and generate on- and off-farm employment. 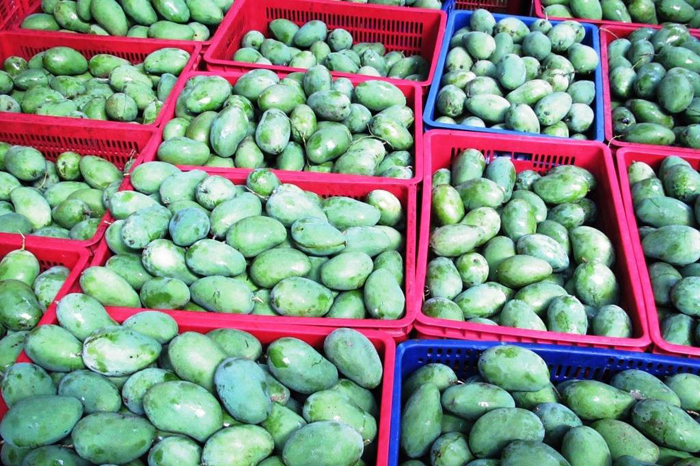 Upstream development of export and other quality chains to deliver significant income benefits to mango growers through higher yields and prices, while also generating on-farm employment opportunities. Processing to help address the main issue of concern to value chain actors, i.e. depressed prices during the main season, while also generating employment opportunities, especially for women. The report provides an analysis of various sub-sector dimensions and includes data critical for understanding mango markets, value chain upgrading opportunities, and the constraints hindering pro-poor, systemic innovation. An analysis of the mango value chains in Situbondo and North Lombok is provided with special emphasis given to spatial product flows; product, information, knowledge, and financial linkages along the chain; quality standards and management systems; and key constraints faced by farmers and some other key chain actors. Interventions are proposed, supported by research findings. 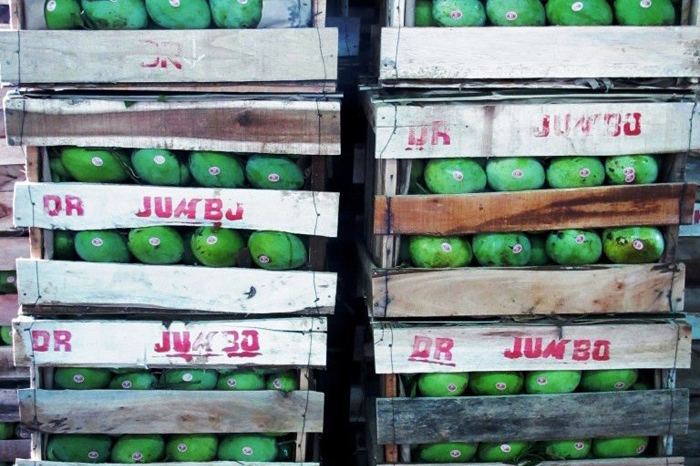 The report provides a summary of Indonesia’s position in global mango production and trade, before canvassing domestic production, production systems, processing, pricing and consumer preferences. 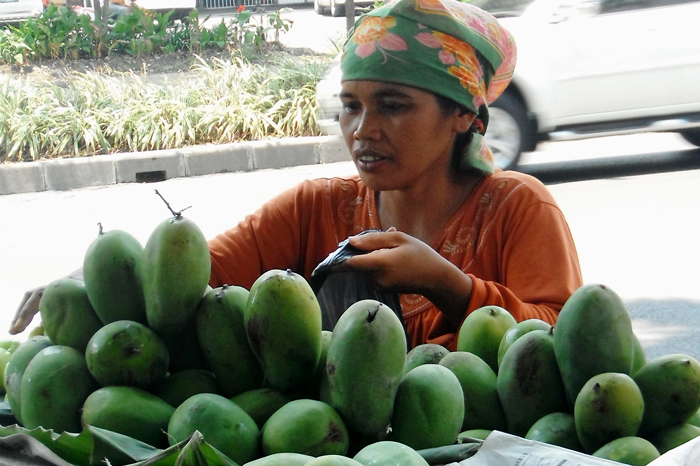 It reviews the fresh mango value chains in both Situbondo and North Lombok. Brief commentary is provided to summarise the quality management situation in Indonesia with respect to mango, and value chain constraints identified by the study. It summarises the recommended market-based chain development opportunities, before concluding with remarks on poverty, gender and environmental issues and further research gaps. 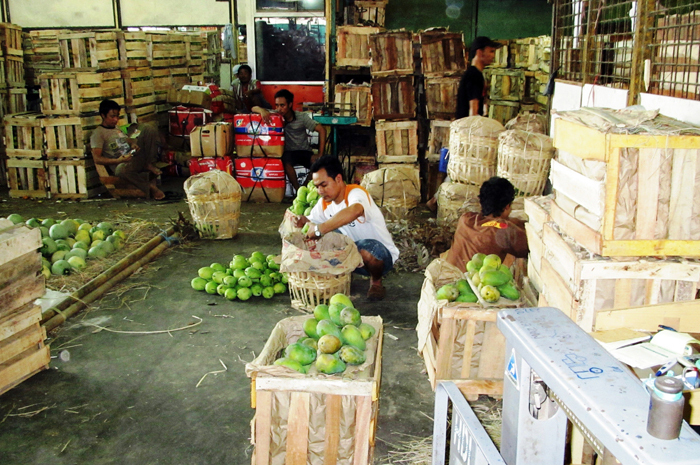 Haromanis mangoes held in warehouse in Kramatjati, Jakarta. 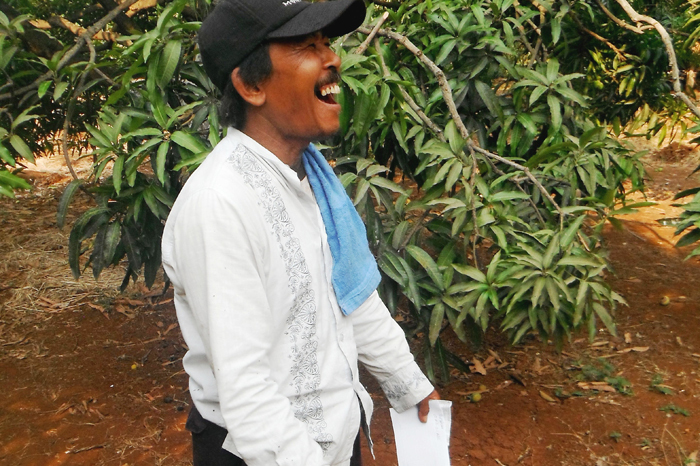 High yielding mango farmer, Cirebon. 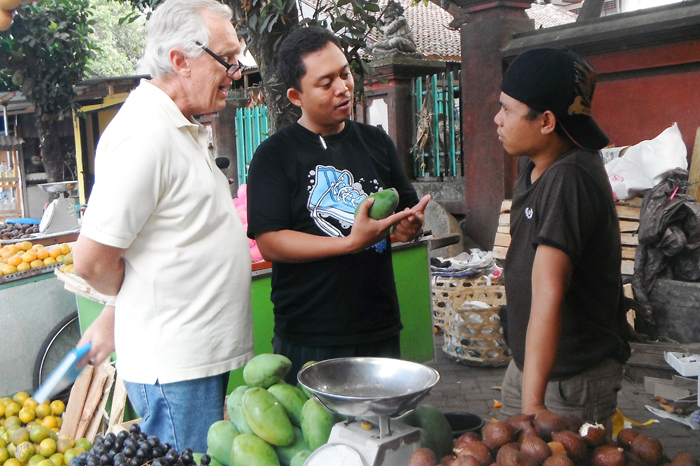 Field team interviewing a mango retailer in Mataram, NTB. Wholesalers packing and upacking mangoes at Kramatjati market. Small 'side of the road' mango retailer in Surabaya. High quality Haromanis mango packed for transport to Kramatjati market. 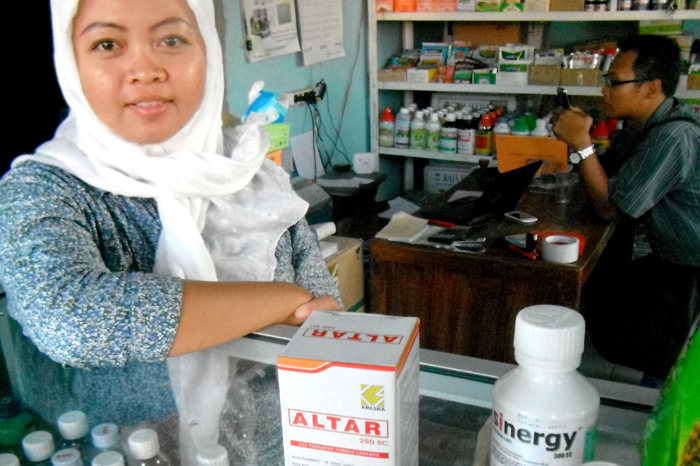 Village level input retailer stocking Paklobutrazol to promote early season flowering.